Happy Tuesday Party Girls! 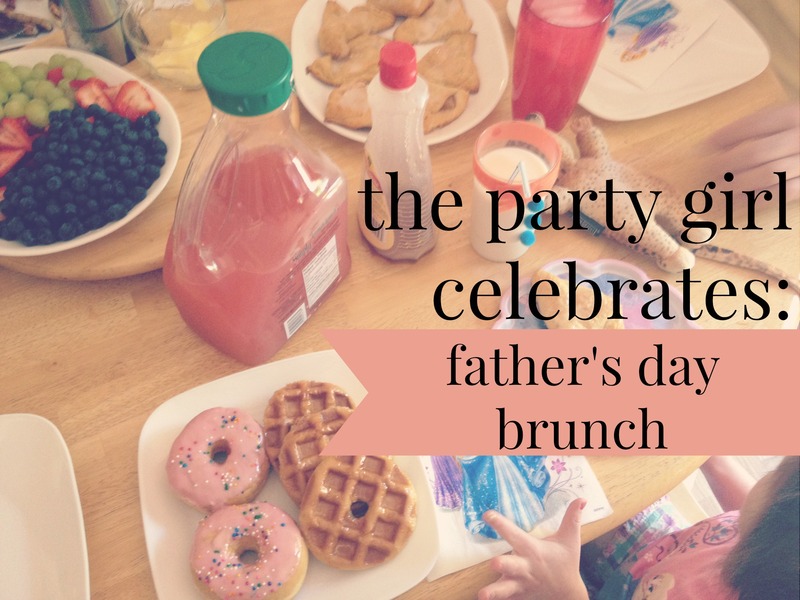 This past weekend was super busy, running from party to party and then having a lazy Father’s Day brunch on Sunday (my favourite!). We wanted to share some snapshots of our laid-back celebration, and share our new favourite brunch recipe (that really isn’t a recipe at all). 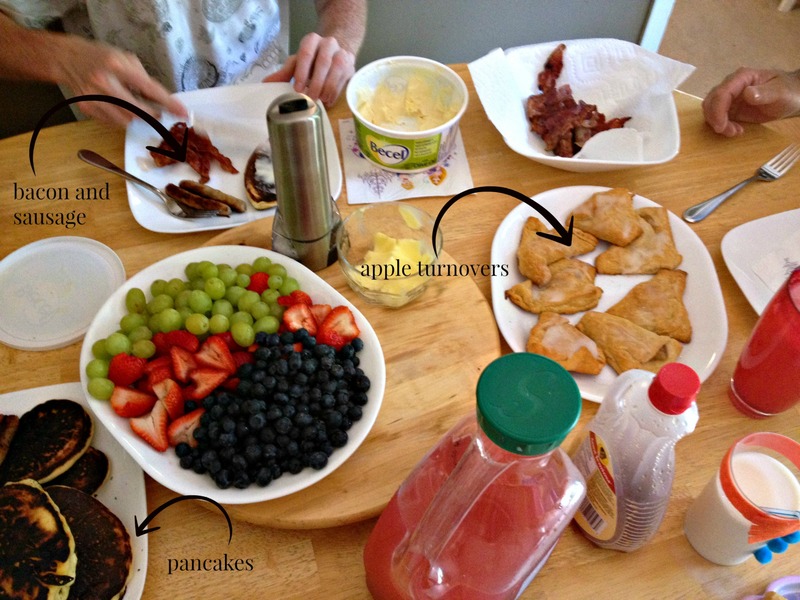 As you can see we always try to have a lot of breakfast options. I was also going to make cinnamon buns and eggs but then it turned out nobody wanted eggs and we didn’t have bread for toast (yup, this is the definition of a lazy brunch) and then I commented that I hate cinnamon and everybody was like “well…we do have a ton of other options” and thus it was so. I made a platter of fruit for colour, AND because it was gorgeous outside and I felt like something fresh. We ended up devouring the whole thing. The apple turnovers were ugly as anything (it’s really hard to make perfect triangles okay?) but they tasted delicious. We burned the pancakes hahaha. I also almost set the place on fire because I used wax paper instead of parchment paper, so that was fun. 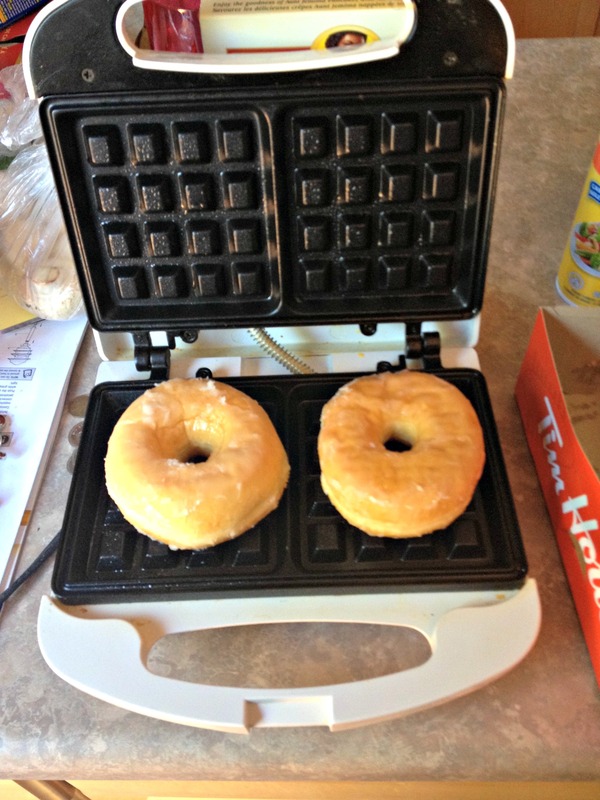 As for my new favourite brunch treat, I decided to play with the waffle maker and make donut waffles. I thought about making donuts from scratch but then I didn’t get home from a friend’s birthday party until 1am and decided Tim Hortons was a better option anyways. I also picked up some “princess” donuts for my sibs so it was like a bonus. Anyways, make or purchase some regular glazed donuts. Heat up your waffle makers. 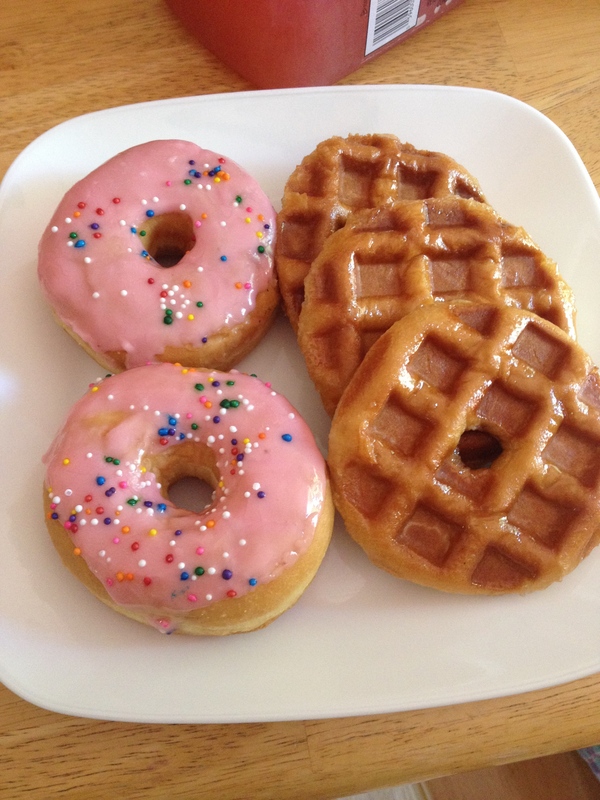 Insert donuts. It was actually super fun, and the glaze melted into this perfect toasted caramel tasting masterpiece and it was a huge hit. We spent the whole day at my dad’s, swimming in the pool and relaxing, and we had an amazing steak and lobster dinner that dad made because Father’s Day apparently ended with brunch haha. 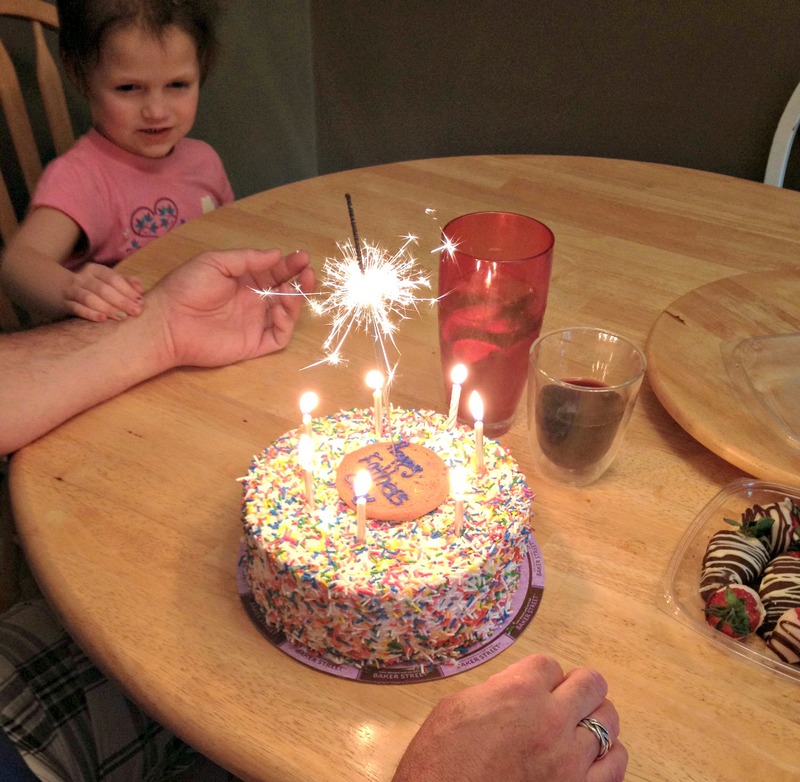 I did pick up this sprinkle cake so that was a huge hit, and dug out some shiny candles and a sparkler which was extremely popular. How was your Father’s Day? Hope you had a great weekend!